Veneers are beautifully crafted, custom-made porcelain that restore crooked, malformed, or damaged teeth, allowing for a balanced, enhanced and unique smile while restoring strength and functionality. Placement of such small, porcelain materials takes much skill, precision and artistry of a well trained cosmetic dentist, like Frankel Dentistry. With his expertise, he will quickly be able to fix such problems as worn enamel as well as chipped, discolored, misaligned, irregularly shaped, cracked, or uneven teeth, giving you a beautiful, natural-looking smile that you would like to show off to all your friends and family. Once your veneers are made, you will come in for a final appointment. Here, the staff at Frankel Dentistry will trim and adjust them to fit your smile. Next, they will clean and polish each tooth, allowing the bonding to stick to your teeth. Then, each shell is secured to your teeth with cement. 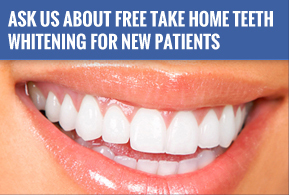 Once finished, the Frankel Dentistry team will review the care process and you are free to leave with your new smile. As an alternative, you can choose Lumineers, which are very similar to veneers, but the tooth surface differs. On some, Lumineers can look a bit bulky, but for others they'll be absolutely perfect. Ultimately, the choice between the two is totally up to you. But both options are able to give you the Hollywood smile you have always dreamed of.